A night of world class, musical arts talent by some of Utah’s most award winning performers at the beautiful Libby Gardner Concert Hall. There will also be over $5,000 in raffle prizes that will be given away by the end of the night. All proceeds will benefit global water projects and local initiatives by WHOlives. Dallyn Vail Bayles - Actor, singer & recording artist including performances with touring companies of Phantom of the Opera and Les Miserables. Natalie Hill Jensen - Performed on Broadway in productions including Wonderland, Bye Bye Birdie, and Grease. Stephen Beus - Internationally celebrated and multi-awarded concert pianist and Steinway artist. One Voice Children's Choir - America's Got Talent Finalist, Utah Best of State 2014, 2015 and 2016. Caleb Chapman Crescent Super Band - Internationally recognized and highly award-winning youth band of 12-18 year-old musicians. Kelly DeHaan - Multiple award-winning conductor, musician and educator for Mormon Tabernacle Choir, Hale Center Theatre, Utah Voices, and many others. WHOlives is a Utah based non-profit organization with a focus on saving and improving millions of lives by providing easy access to clean water, better health, and economic opportunity, through the use of the Village Drill. Thank you for all the good you do in the world! The D. Gary Young, Young Living Foundation is how Young Living Essential Oils gives back on a global scale to underserved families and communities. Over the years, the Young Living Foundation has brought hope, care, education, and empowerment to hundreds of thousands of children and individuals. Video Credit to Village Drill users; Go Conscious Earth, WorldVision, and Going Beyond Borders. 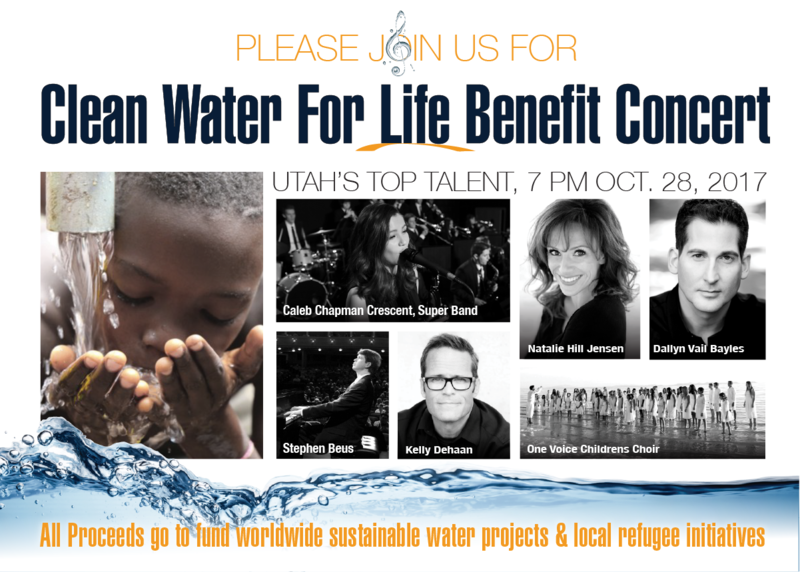 WHOlives is a Utah-based nonprofit organization with a focus on saving and improving millions of lives through clean water and self-reliance. We provide affordable and sustainable access to clean water, better health, and economic opportunity through the use of the Village Drill. To date, we have brought clean drinking water to 1.8 MILLION people for life!